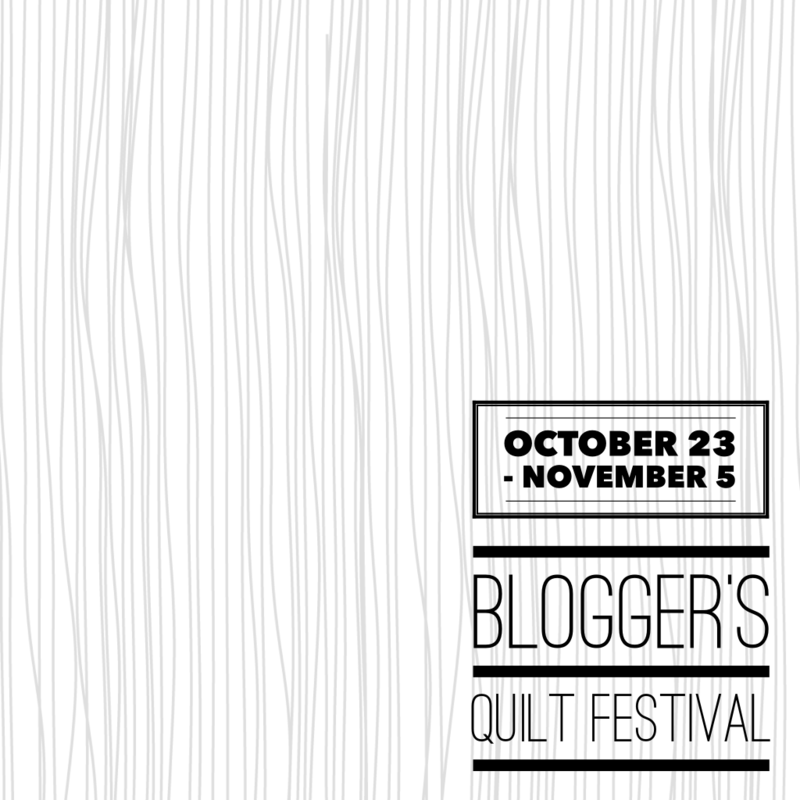 Amy Ellis from Amy’s creative side is hosting the fall bloggers festival. Add your favourite quilt under the nominated categories to win great prizes and share in the wonderful images of quilts from all over the blogging world. Amy has been running this festival since 2009! 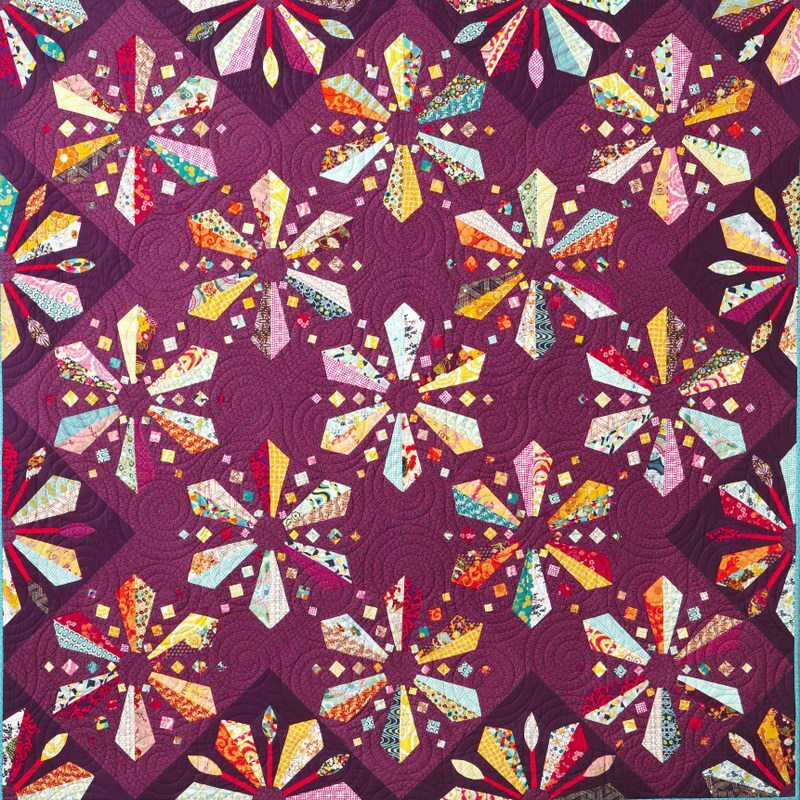 My quilt called Rock pools was originally named Sparklers as it reminded me of cracker night here in Australia watching the colourful fireworks exploding in our backyards and kids running around with lighted sparklers. The quilt pictured was made in 2011 and given to my niece as a gift. 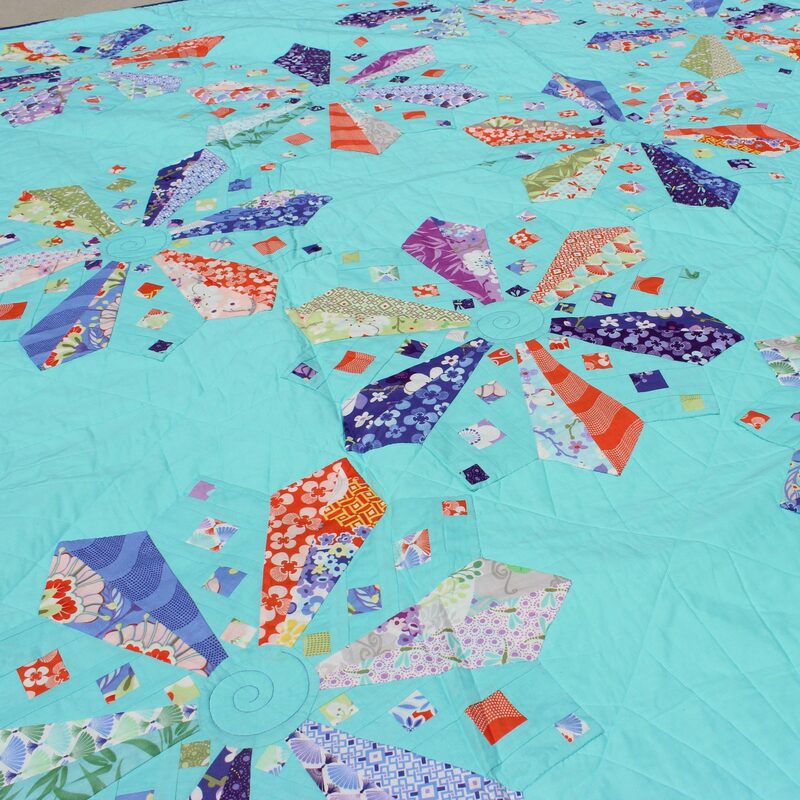 Kate Spain’s Good Fortune was a perfect collection for the pieced Dresden blocks floating in my favourite Bella solid, Robins Egg. I made the quilt again in 2013 for a publication, Desert to Sea 10 quilts from Australian Designers. It was renamed Rock pools to reflect the sandstone rock pools of Port Hacking where I grew up. These pool were filled with starfish, shells and anemone. Occasionally one would find an octopus or fish trapped by the falling tides. This time I used Art Gallery Fabrics, a mixture of oval elements, pure elements, Carnaby Street and Indie. The quilt was made over 3 days (I had to meet a deadline). The design is a combination of piecing and applique. It is pieced and quilted with Aurifil 50wt cotton thread and finishes at 85″ x 85″. I think I may make this quilt again using low volume prints and wildly bright fabrics. Hmm, I will have to think about that. Visit Amy’s site to add you quilt and then vote for your favourite quilts. Oh this is lovely. I like the blue one, but I LOVE the purple one. This is such a stunner, Jane, and my favourite from your book. I love it in both colourways and think a low vol one with eye-popping dresdens would be sensational. Good luck in the Festival! Thank you Miss Kirsty. The more I think about it the low volume does sound enticing. I will have to make it. Both versions are lovely yet have quite different impacts. Amazing how the fabric choices can give such variety. Thank you Karen. It is amazing the difference it makes. Love seeing the same design so differently and yes, LV would be an awesome variation too. Pretty pretty quilt. I too enjoy Amy’s festival and am so pleased that she keeps it going year after year. Jane this is beautiful, I can hardly wait to quilt as well as you do. Hi Patricia, thank you. The pattern is in my book Desert to Sea, 10 quilts from Australian designers. The link to the book and retailers is on my site. It’s pretty amazing. I see snowflakes and chains, so I’d love to do it in silvers, blues and purples. So it sounds like you published this pattern? Where can I find it? Hi Rachell, the pattern is in the book Desert to Sea which has a link on my site. I would love to see it in silvers, blues and purples. Please show me if you make the quilt. I love this pattern. 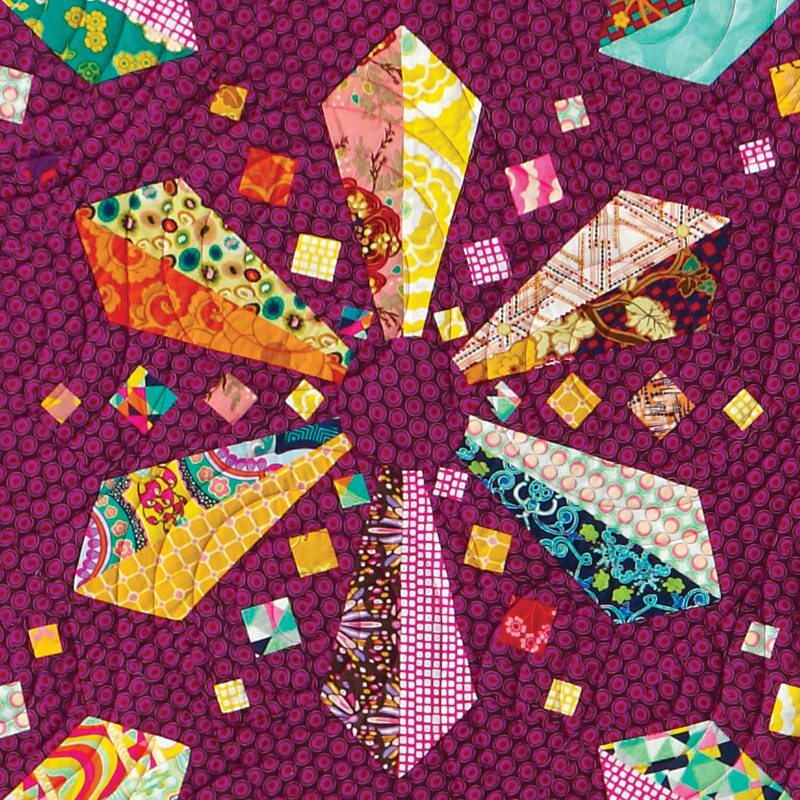 Is there a way I could feature this pattern in my quilt shop? Has your pattern been published alone? Do you have a wholesale source in the US? Hi Georgia, thank you so much. Currently, the pattern is only available in the book and won’t be available for single release until May 2016. As a shop you can buy the book wholesale via Createspace.com. Thank you Lucinda. I hope you enjoy all the quilts in the book. Merry Christmas and Happy New Year.